Selçuk is an independent boutique* full-service law firm located in Istanbul, Turkey with extensive local and international clientele. Established in 2009, Selçuk has an expert team of lawyers dedicated to legal practice with an aim to provide the best quality services to their highly selective clients. Selçuk team consists of 10 (ten) lawyers, 2 (two) paralegals and administrative staff. * We believe in the strength of the combination of expertise, hands-on approach and long lasting relations with our clients. Ankara University, School of Law (1997). Mergers and Acquisitions, Corporate Law, Contracts Law, Finance Contracts, Competition Law, Information Technology and Telecommunications Law, Energy Law and Pharmaceutical Law, Public Procurement Law. We have extensive experience in dealing with mergers and acquisitions, strategic alliances, spin-offs and loan transactions of highly complex nature such as leveraged buy-outs or mezzanine financings. We provide legal assistance to major Turkish and multinational clients with respect to their day-to-day business operations in the field of corporate law which includes mainly negotiation and drafting contracts, convening general assemblies and preparation of general assembly documents, revision of board of directors resolutions and articles of association, attending and following-up transactions at the Trade Registries, incorporation and winding-up capital companies such as joint stock corporations, limited liability partnerships or joint ventures in the form of capital companies. We have a strong practice in providing legal assistance to our clients in restructuring their distribution networks and preparation of distribution contracts. Combining our expertise in different law practices, we provide contract drafting services to our clients in order to achieve their goals and interest. Our service includes both negotiation and draft of contracts. We provide contract drafting service to a wide range of client in different sectors such as health, food, tobacco, energy and consultancy sectors and are specialized in drafting all types of commercial contracts including shareholders, share purchase, consultancy, technology transfer, distribution, sale and leasing contracts. Having represented numerous clients, our firm has an experience resolving all types of contract disputes. We have a wide range of experience in dealing with antitrust matters in high profile M&A cases, distribution / license agreement notifications (clearance and exemption applications), preliminary investigations / investigations (together with assistance in dawn raids), in cases lodged against Competition Board decisions before Council of State and in providing tailor made / industry specific competition law training (including mock dawn-raids) and compliance programs to major global and local companies. Our expertise in competition law covers all sectors but with a particular focus on oil and gas, electronics and electricity, information and communications, pharmaceutical, healthcare, automotive, FMCG, retailing, food and beverages. 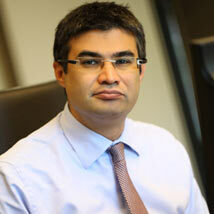 Mr. Selçuk is a former member of Turkish Competition Authority and is well-known in the field. He worked in numerous cases, inter alia, cartel investigations, vertical agreements, joint venture agreements, abuses of dominant positions, mergers and acquisitions (including also joint ventures) in various industries and they also participated in initial versions of draft law before the Parliament and secondary legislation such as communiqué on takeovers through privatizations. We provide one-stop shop services covering full array of legal needs starting from legal assistance in due diligence stage (covering both organization of data rooms to coordination of due diligence process) to drafting and negotiating definitive agreements (i.e. joint venture, share purchase, shareholders or similar) and carrying out all necessary notifications and other requirements for due completion of the transactions, together with legal assistance in drafting and negotiation of loan agreements. Our office is valued by our clients in understanding key business issues relating to valuations or implications of financial covenants. Our dispute resolution practice involves legal advice and counseling services on commercial, administrative, tax and criminal litigation cases of multinational companies as well as Turkish and international arbitration matters. We provide all sorts of legal services on a wide range of legal disputes including contractual / commercial disputes, corporate governance issues, tax and customs matters, product liability claims, employee claims, compensation claims (such as goodwill compensation claims), intellectual property law related disputes, lease agreements, real property disputes, post transaction disputes and corporate and white collar crimes. We also provide extensive services in enforcement, debt recovery and bankruptcy processes dealing with all aspects of our client’s requirements regardless of the size and complexity of their respective businesses. Under our dispute resolution practice, we aim to provide cost-efficient and timely solutions to our clients aiming to resolve the dispute amicably where available but also being well equipped and experienced to pursue legal proceedings in the absence of an amicable solution. Our practice includes legal services to major global pharmaceutical companies and medical devices companies on various aspects of pharmaceutical and healthcare law which includes pharmaceutical legislation, data privacy, pharmacovigilance contracts, research and development, promotion, distribution, technology transfer agreements and licensing matters. We provide counseling services on legal compliance matters (covering also both Competition Law and Public Tender Law aspects) and daily operations including marketing, promotion, co-promotion, advertisements, supply and sale of products, transfer of product licenses, licensing and termination/negotiation of distribution agreements also conducting on-demand regulatory compliance reviews and trainings for our clients. Our practice involves legal assistance in gas, petroleum and electricity markets from license application to compliance with regulatory requirements. We have a strong understanding of regulatory requirements in all such fields thanks to the strong combination of Competition Law and regulatory experience. Office members have in depth knowledge in EU regulatory approaches in the foregoing fields. Our telecommunication practice involves assistance in all matters starting from licensing to pricing etc. Members of our office have in depth knowledge of industry due to their former positions at Turkish Competition Authority. Office members have participated in several due diligence review of all of the operators. Mr. Selçuk, founding partner of our office acted as a lecturer at Economics of Law LL.M. program at Bilkent University Faculty of Law for several years. We provide legal assistance to project finance transactions both on the side of creditors and debtors. We have strong expertise in mezzanine transactions, mezzanine finance, all types of financing agreements in LBO’s. Our legal consultancy service includes inter alia legal assistance relating to defective goods and services claims, labeling, guarantees and distant sales issues. Regarding distant sales, we are also involved, among others, in distant sale contract drafting for web sales. Besides legal opinions, our experienced litigation team is also involved in cases before consumer protection courts. We have an extensive experience in consumer law related cases concerning health sector. Our expertise in consumer protection law also involves advertisement law where we provide day-to-day legal consultancy services to corporates regarding their promotional campaigns and advertisement materials. This service includes, among others, misleading, false or compared advertisements, advertisement law principles, prized draws and competitions. Our practice area of real estate and property law includes with a variety of related issues, inter alia all transactions regarding rights and interests in real estate and real property such as sales, purchases and other transfers of real estate and real property; legal aspects of rental property and landlord issues; property development; zoning and land use; construction law related matters; foreclosures; establishment of mortgage and other rights in rem such as usufruct, promise to sell or pre-emptive right to purchase; condominium law and various other relevant topics. We are conducting due diligence work regarding every aspect of real estate law. We represent clients in disputes arising out of joint ownership matters and cancellation of zoning plans diminishing the interests of the clients. We also worked on matters for the protection of our clients rights as to eviction of property and collection of unpaid rentals. Further, we represented constructors in their disputes with the project owners concerning their contractual matters and progress payments in local and international construction or development projects. We provide full legal assistance to our clients regarding their intellectual property assets in Turkey. Our services include preparation, filing and follow-up of trademark, design and patent applications as well as transfer, acquisition and protection of intellectual property assets before the Turkish Patent Institute. We represent clients in IP-based disputes before Turkish Intellectual Property Courts and other relevant bodies such as trademark infringements and counterfeiting issues. We also provide services in drafting technology transfer agreements, license agreements and other IP related agreements. Our team has strong experience and are highly skilled in compliance trainings including health care, competition, ABC particularly in FCPA and UK Bribery act. Our office regularly conducts such trainings strongly requested by United Kingdom or United States origin clients.